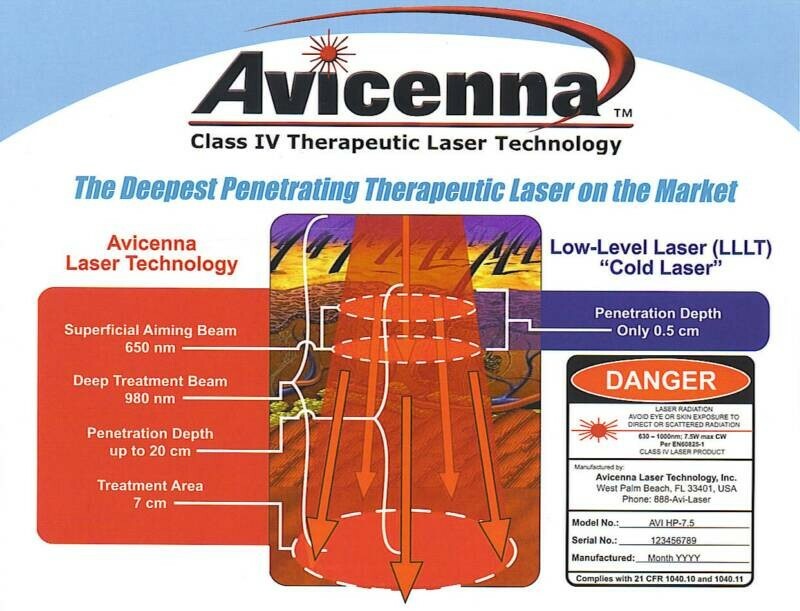 In the diagram above you can see that High Power Laser Therapy (a.k.a. Class IV Laser Therapy) penetrates considerably deeper than a Cold Laser which is also known as Low Level Laser Therapy. Laser thereapy works by stimutlating production of cellular energy in damaged cells and by enhancing the cell membrane permaeability. This promote the speed and quality of healing , enhances the exchange of nutrients and wastes across the cell membrane improving elasticity of injured tissues. Laser energy is only absorbed by cells that are not functioning properly. The energy “turns on” the mitochodria, which is the powerhouse of the cell. The mitochondria provides the damaged/injured cells with energy they need to start repairing and operating at their optimum performance. Cells that are working fine, aren’t affected by laser energy. It’s just like acupuncture, no side effects, the body takes what it needs and disposes of the rest. Medical outcomes result from the laser’s ability to “bio-stimulate” tissue growth and repair. This results in accelerated wound healing, as well as a dramatic decrease in pain, inflammation, and scar tissue formation. Unlike all other treatment modalities, laser therapy actually “heals” tissue as well as providing a powerful non-addictive and side-effect free form of pain management. 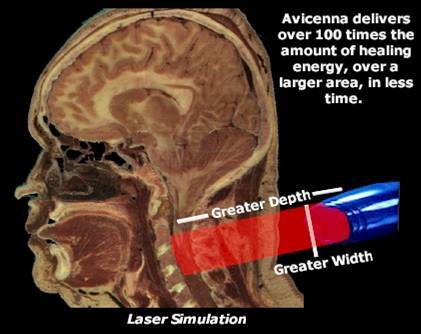 Avicenna’s High Power Laser Therapy (HPLT) gets superior results due to the ability to deliver healing laser energy to the target tissues at any depth and over large surface areas. 1. Increased growth factor response within cells and tissue as a result of increased ATP and protein synthesis. 4. Increased metabolic activity – via increase in enzyme outputs, oxygen and nutrient availability. Class IV Laser Therapy for the treatment of Sports Injuries – Analise is a competitive gymnast who trains up to 6 hrs a day. She has been treated by Dr. Michael Snyder for a sprained ankle, torn hamstring, sprained elbow and gets chiropractic adjustments as needed.